After a workout your muscles are sore and the tissue is torn. 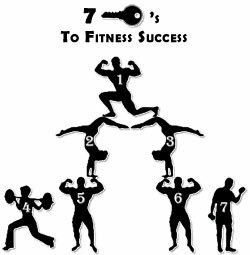 This is the process that all people who train in fitness have to endure, and that is why it is necessary to keep the recovery rate up and regenerating while your body is finally at rest. Four key ways to make your muscles recover faster are through eating the right foods, protein intake, fluid replacement, stretching, and getting plenty of rest as well. Taking an ice bath post workout can also help with muscle recovery. These will all help make your body less sore after training, which then encourages muscle growth. Let’s take a closer look on how to make muscles recover faster. 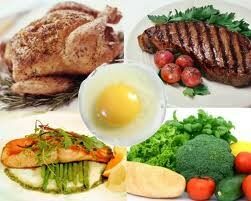 Various foods and proteins contain all the vitamins and minerals that your body needs to have in order for any muscle recovery to occur. Protein is needed by every cell in your body to function properly, thus the reason why protein is referred to as the building blocks of the human body. Whey protein is the easiest way to get the amount you need without having to eat a whole meal, but that does not mean it is a meal replacement, and you will see this statement on most trustworthy brand names. The best way to go about your protein intake is by taking a serving before training, or pre-workout, and then two servings after training, also called post workout. Post workout recovery is one of the most important times for muscle repair, and your muscle are very vulnerable and in need of the components provided by this supplement, which are designed to be broken down quickly during digestion with the help of amino acids. Water makes up 2/3 of your bodyweight, and needs to be replenished throughout the day. Many people do not realize it, but research has shown that 55 out of 100 people are dehydrated and not drinking enough water. This is even a reason for obesity because your body actually does not know how to tell you that it is dehydrated at times, and instead your mind interprets it as you are hungry, thus leading to weight gain when you really were in need of water. Sports drinks that provide electrolytes are also important for muscle repair due to the nature of electrolytes assisting with energy production for recovery. Just do not make it a habit of drinking them as a regular drink since they do contain high amounts of sugar usually. Your muscles are going to be sore and begin to tighten up. Stretching is going to help keep your muscles moving and will prevent any cramps or lock outs from occurring after your workout. You should stretch before, during, and after your workouts to ensure a better recovery time, plus it may prevent any injuries from occurring. Keep your recovery stretches light and do not over stretch your muscles. 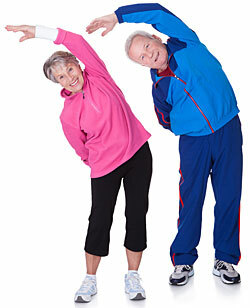 The whole point is to keep your muscle tissue loose for recovery, and stretching too much is actually working them out. Rest can range from taking a break from exercising a muscle group, or the time when you are actually sleeping. You have to give each muscle group enough time for a break from being over worked, which can actually decrease your muscle gains and cause an injury. This is why most training cycles consist of only training your chest one day a week, or your back, and so on because that gives them the necessary time needed for muscle recovery to happen faster. Have you ever woke up the morning after a training day and just felt too sore to move? That is because while you were asleep your body was hard at work trying to repair the damaged muscles after your workout, and usually it is a sign that you need to stretch more, or have an increase in the amount of food, protein, and water. This is a very important time for your body’s recovery rate, and plenty of sleep is going to be needed. While this method isn’t going to be for everyone, taking a cold bath or shower post workout can significantly reduce muscle soreness and inflammation. 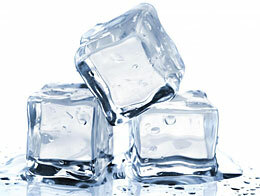 Many elite athletes, especially mixed martial artists, use cold ice baths to speed their muscle recovery times. Why does this work? The cold water bath will cause your blood vessels to tighten, and in the process your muscle tissues will flush out lactic acid. Lactic acid is a buildup of waste that is produced by your muscles when creating energy during strength training and working out in general. Lactic acid causes muscles to fatigue and not function optimally. While a cold shower can help, for the most effective results take an ice bath. To get started, fill your bath with cold water and then add between 2 and 3 bags of ice. 10 to 20 minutes of soaking should get the job done. Ice Bath Tips: If during your soak you feel uncomfortably numb or aren’t feeling well in general be safe and get out. You may also want to try sipping on a warm drink during your soak to make things more tolerable, for as we said, and ice bath isn’t for everyone! Virtually every person training is going to have sore muscles after working out, and that is just the way muscle gain and weight loss both work. However, the methods discussed are going to speed up the recovery time, and leave the soreness to a minimum. What are your favorite methods for speeding recovery? Let us know in the comments below!